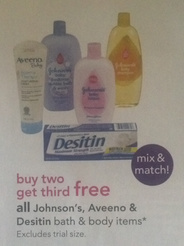 Starting February 22nd, Johnson's, Aveeno and Desitin Bath and Body Items will be Buy 2, Get One Free at Toys R Us and Babies R Us stores! Here is this weeks RedPlum coupon update. As always grab your favorites because these tend to hit their print limits fast. -SAVE $3.00 when you buy $10 worth of Suave Hair, Lever 2000 and Degree products. Excludes Suave Men 2-in-1 Ocean Charge. Redeemable at Dollar General. Right now Weight Watchers Online is offering Free Sign Up when you buy a 3-Month Savings Plan. Hurry over and check out all the rates and plans you'll receive and start your healthier lifestyle! Today only, Housewares Deals has this Kamenstein® 18 Jar Criss-Cross Bamboo Spice Rack for $24 (Retail $40). One thing I like about this spice rack is the valuable counter space it saves! Remember you can print coupons for Dollar General and stack them with manufacturer's coupons for more savings! 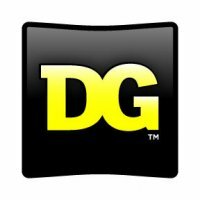 Check out the Dollar General Coupon Policy for more details. Little Remedies Saline Spray, 1 oz., Gas Relief Drops, 1 oz. or Stuffy Nose Kit, 1 ct.
-Huge Selection of Jackets, Sportshirts, Polo, Sweaters &amp; More! Designer Living is offering today this Full size Avenue 8 Sloane 12 Piece Comforter Set for $49.99 (Retail $180). Hurry over to Sears because right now you can get this Easy Bake Microwave &amp; Style Deluxe Delights Cake &amp; Cookie Kit with 10 Mixes &amp; 13 Tools Included for $14.99 with free shipping (Retail $39.00). Features Include: Create your own little pastry shop Uses home's microwave to create delicious treats 12 different tools included 10 mixes included Helps make pink sugar cookies, chocolate chip cookies, raspberry cake, chocolate cake and more Choose the recipe, mix and bake in a microwave Colored fondant for decorating Dishwasher Safe: top rack only For ages 8 and up.